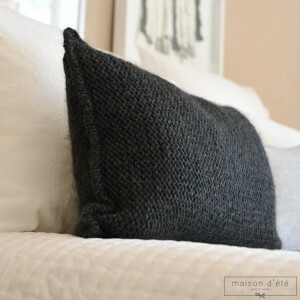 Our Maison d'été cushion collection varies through the seasons, with a range of inspirations. 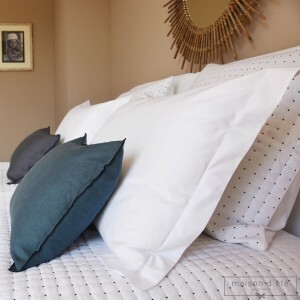 Embroidered linen and cotton cushions with lace or delicate detailing are an asset that enhances the look of any bed, sofa or armchair. In 2015 the spotlight is on the Ikat inspiration with its very glamorous, lacy, hypnotic effect. Choose the one that matches your decorating mood of the moment! 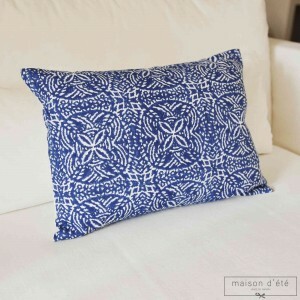 This Uzès blue cushion with Hand Block print is very bright. 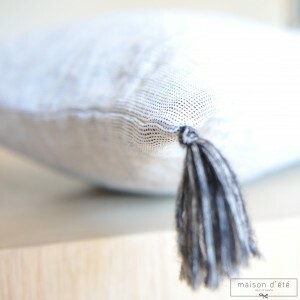 It will give a summery look to your home! 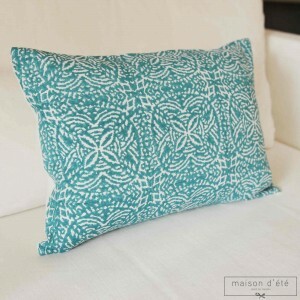 This Uzès agua cushion with Hand Block print is very bright. 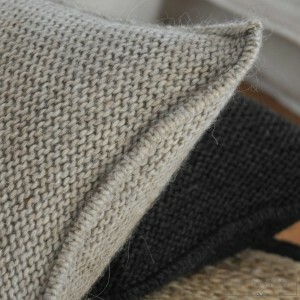 It will give a summery look to your home! 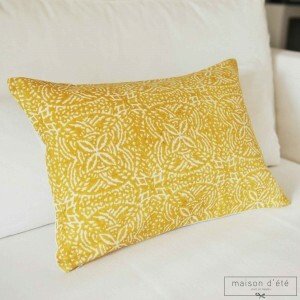 This Uzès mustard cushion with Hand Block print is very bright. 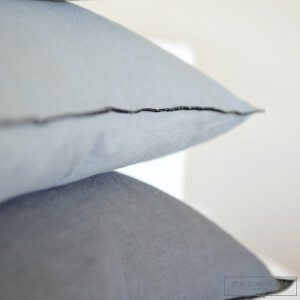 It will give a summery look to your home!